Cloud instances are the machines which have been automatically started by OctoPerf. OctoPerf keeps tracks of them internally that way. 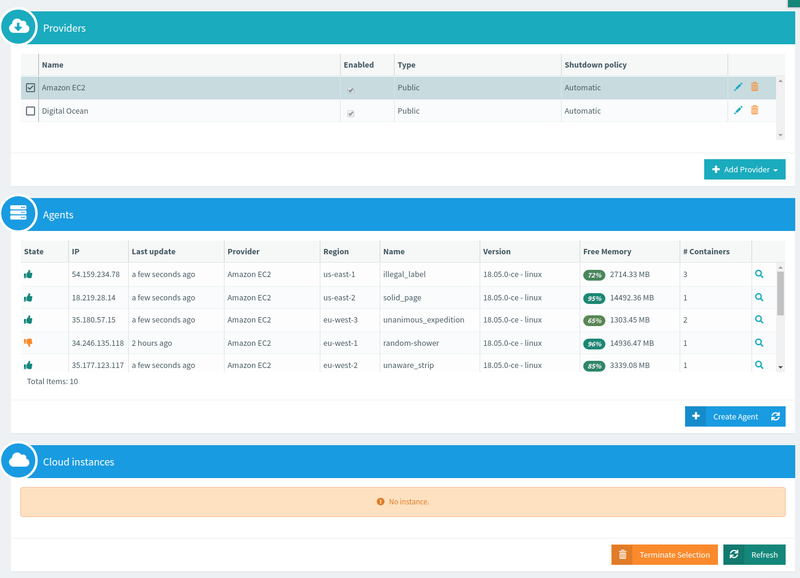 The cloud instances table lists all the instances currently running. This panel is only available when using cloud providers like Amazon EC2 or DigitalOcean. Terminated: the machine is terminated and destroyed. Always use OctoPerf console to terminate an instance. Otherwise, OctoPerf's error detection system may interprete this as an error and spin up a new cloud instance as replacement.